This is the first in a series of four that I'm planning to do. As I state in my Profile I love the way light shapes form and casts shadows and this is a perfect example. 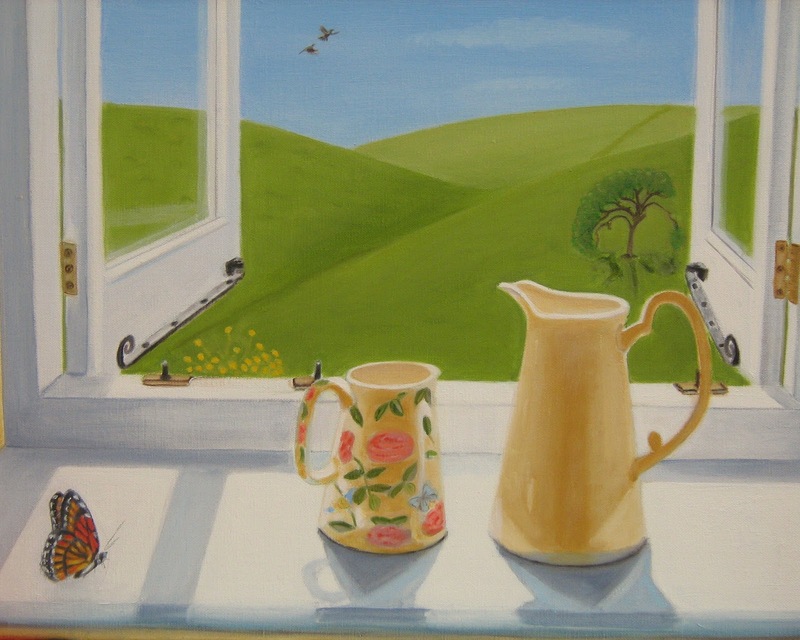 The bright sunlight causes the jugs to leave deep shadows in the window sill. Also, windows have a fascination for me. In his poem, "Ode to a Nightingale" Keats mentions "magic casements" and to me windows can be thought of as magical in that the view they hold changes as the weather and seasons change. So, this one (above) is Summer and I hope it is evocative of a hot summer's day. I've included two nightingales as a tribute to Keats' poem and they symbolise the voice of poets so are apt. The butterfly symbolises metamorphosis, or change; the tree symbolises the human family tree and there is a path over the hill, leading where? The viewer makes of these symbols what s/he will. Setting up my website (www.patcusackinnesart.co.uk) and this blog have taken a great deal of time lately but I've managed to complete the small painting below. The rose is from my garden - I love roses and gardening - and the bud vase is a new acquisition. 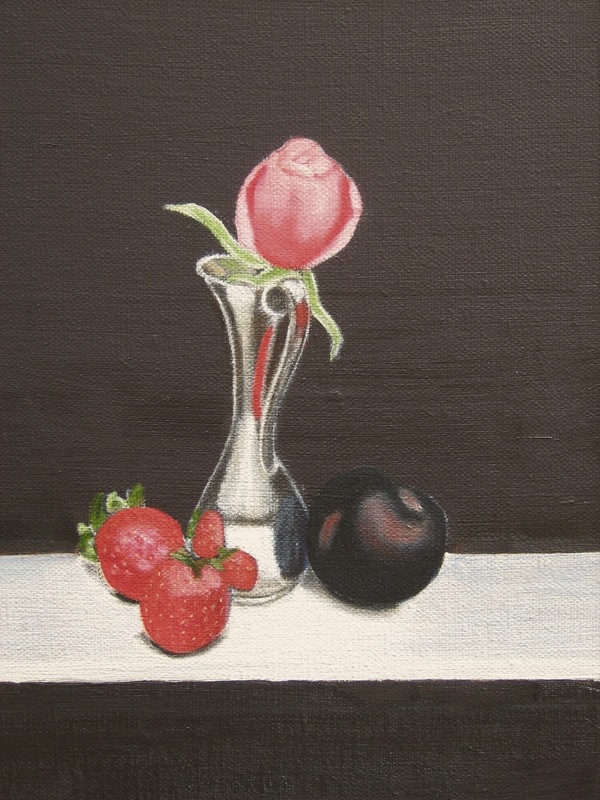 There's an abundance of fruit to choose from at the moment, both for painting and eating! Hope you like the painting. It will be uploaded to my website in due course and available for purchase.